Often when I'm shooting, I have my trusty assistant there to help...my husband! I met Phil at my first job after college. He was responsible for showing me the ropes around the office. Well, we became great friends! But his charm was no match for me playing hard to get. He is goofy, out-going, loving and mine forever. When you know, you know. Phil proposed to me after only six months of dating. Yes, six. But we were (and still are) head over heels in love. On a mountain by a beach in Monterey, CA, Phil got down on one knee and asked me to marry him. A couple sightseeing on the side of the road were able to capture this unforgettable moment! Crazy enough, we ran into them a little while later at a restaurant on the coast and they bought us a bottle of champagne and celebrated with us. 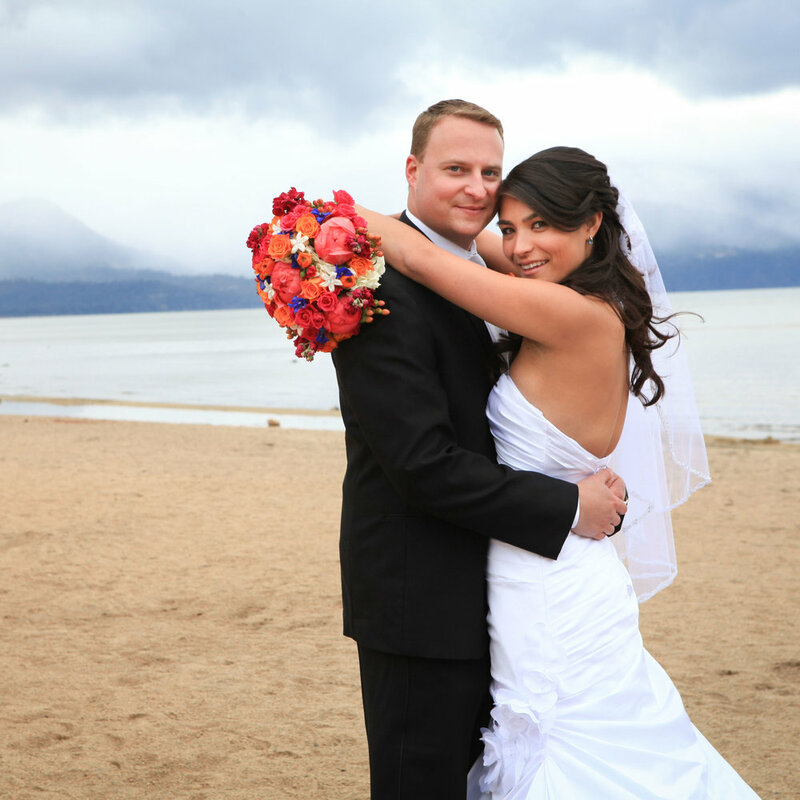 On a picture perfect afternoon in Lake Tahoe, CA, we said I do. Surrounded by close friends and family, we had the perfect wedding. Since then our marriage and love continues to get richer everyday. We've honeymooned in Iceland, soaked up the sun in Hawaii, Florida, and the Bahamas, and all through the midwest and east coast. No children yet, but we have the cutest silver labrador named Tahoe.